France remains ahead of the curve in military transport solutions with its latest prototype armored 4×4. 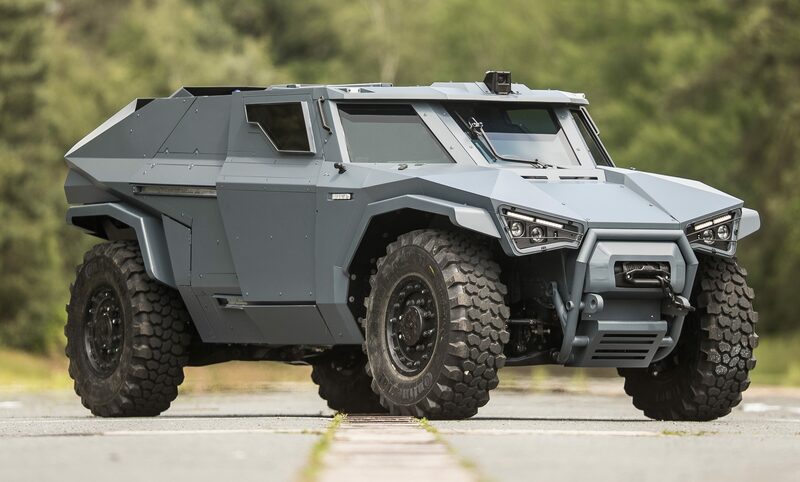 As an offering from Arquus, the new corporate entity for what used to be Panhard, the Scarabee is being positioned as a reconnaissance vehicle for the military at home and militaries abroad. Although its appearance marks a radical departure from Arquus’ proven multirole trucks like the Sherpa and the Dagger/PVP, the Scarabee wasn’t born in a vacuum. Its layout follows the slightly altered hull of the CRAB, another prototype unveiled in 2012, that now-defunct Panhard was trying to launch as a lightweight combat vehicle. Arquus unveiled the Scarabee at France’s largest arms show in 2018. The prototype shown off to the press featured a remote controlled turret on its roof armed with an M230 cannon that has become a favorite among NATO forces. The Scarabee is recognizable for its small hood or bonnet and a three panel windshield with a camera perched above it. Its manufacturer hasn’t revealed too much about their product yet but its pre-ordained role as a would-be replacement for the popular VBL is hardly secret–it says so on the Scarabee’s product literature! 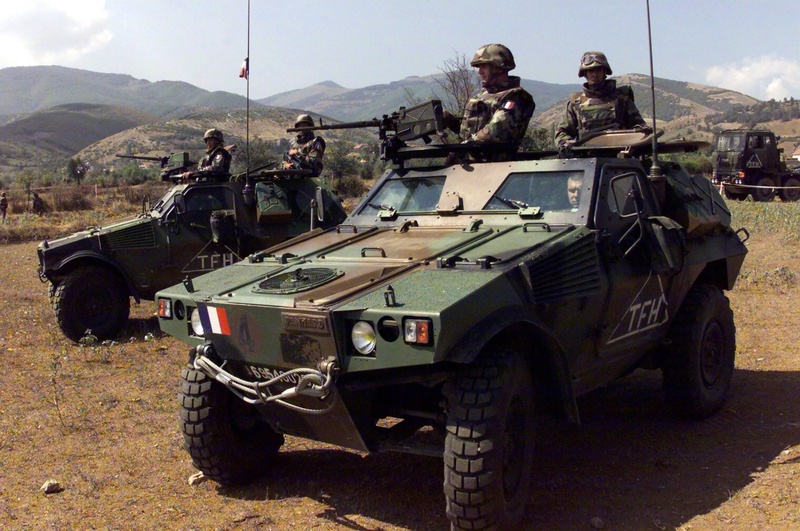 Since it entered service with the French Army in 1990, the VBL became Europe’s premier recce 4×4 that can deploy to any climate and travel long distances. Light enough for a C-130 and able to fit a handful of soldiers, the VBL suited France’s expeditionary missions around the world. It also enjoyed substantial demand from various clients and exports totaled several hundred models sold to at least 20 countries. The Scarabee is being positioned as a replacement for the VBL scout car. Indeed, the Scarabee must not only surpass the VBL’s reputation but the crowded niche that passes for today’s protected vehicles market. It’s no wonder Arquus teased a few cutting edge features they hope will give it a distinct advantage over its peers. (The US Army’s Flyer-series comes to mind.) Judging by its appearance alone, it’s obvious the Scarabee enjoys a specific level of blast resistance and the armor on its three panel windshield and windows are likely strong enough to absorb automatic rifle fire. But Arquus’ brave gamble on the Scarabee is an unnamed hybrid engine type that alternates between diesel and electric propulsion. Of course, the resulting performance characteristics for this power system haven’t been revealed. In its present iteration the Scarabee looks confined to just scouting missions in the faraway geographies the French military are preoccupied with. (Leaving the Sherpa and the Bastion with their roles as battle trucks.) But should it find a measure of success in the future, Arquus will no doubt offer variants with waterjet propellers for amphibious crossings; a modular passenger compartment to carry more soldiers; a suite of C4I and CBRNe equipment for enhancing its survival in war zones; and a shocking variety of French and European light weapons on its roof. France is a very competitive exporter of its military products and is generous with production licenses. At a time when the Oshkosh JLTV looks set to sweep away its competition and armored pickup trucks are an irresistible choice, the Scarabee’s potential shouldn’t be dismissed.